Karma is a concept that is often misunderstood. It is seen as some sort of punishment, as though there is a Great Judge somewhere, perhaps God, who decides whether a certain deed should have consequences for you or not. That's not what it is. Everything in the universe is about finding a balance, and this goes for souls as well. When a soul finds that it has done something to someone else that has caused them much suffering, that soul will want to experience this suffering itself. Otherwise there will be a gap in its experience, the balance will have been disturbed. And so it will arrange with its guides on soul level, in other words backstage, that it wishes to go through this experience in a similar form. This usually happens in a next life, but it can also take place in the same life. Especially during this time, in the build-up to the Ascension, a soul will do everything it can to be able to start with a clean slate later on. It is not true that the development of a soul cannot take place at all if it still has karma, because one karma carries more weight than the other. But it does know it will have to redeem all karma someday. You solve karma by coming to terms with yourself. 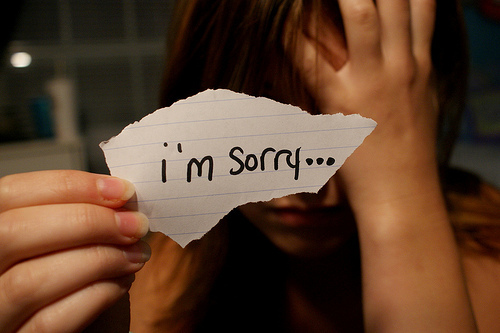 By forgiving people who did you wrong and by apologizing to people that you may have harmed yourself. If you find it difficult to face these people again, it may also be sufficient to just silently speak out your forgiveness or apologies to them. The point is that you really feel that way. Not all karma needs to be solved by experiencing yourself what you have done to others. If you hurt someone and then regret it so much that you actually suffer more than the other, the lesson has also been learned. Often your guides will make sure that later in your life you face a similar situation, to test whether you actually learned the lesson and do handle it well this time. But regret, especially when expressed to the victim and to others with whom you discuss it, is a good karma-solver. Sometimes nothing more than a minimal deed is needed to redeem a mountain of karma. Researcher David Wilcock (1) once said in a radio interview that the American medium Edgar Cayce, of whom he appears to be the reincarnation, once looked back on a previous life. In this life he had been a drinking womanizer, without much integrity or charity. At the end of his life, in which he had saved up quite a bit of money while the rest of the country had gone into famine, he was eating a loaf of bread on the street. There he encountered a hungry child that was seated on the pavement and was watching him. He decided to give his bread to the child. And in this one moment he had redeemed all karma he had built up during his life. On the other hand, sometimes even a small act can create karma. The same Edgar Cayce did regular readings in his time for people with a disease or other physical problems who wanted to know where that came from. Then he told them how that physical problem had arisen, and that could also be because of karma that was built up in a past life. For example, he explained to several disabled patients that their disability had arisen because they had not shown sympathy in a previous life for people who were thrown before the lions in stadiums like the Colosseum in Rome, in the time of the gladiators. Such a victim was then killed or seriously injured by the lions in the arena, while the person in question was laughing in the stands. The simple fact that he showed no compassion for the victim and did not regret it for the rest of his life, made that that soul wanted to experience in a next life what it was like to be handicapped - just like the victim who was mutilated by the lions also had to do. No life is ever entirely meaningless. Even if a soul ruins all its chances to make headway with a certain life, it will still be able to use this experience for a next chance. Its consciousness becomes a little higher at that moment, which slightly improves the chance that it will do it correctly this time. If a soul turns out to have great trouble in redeeming certain karma, there are other options. Souls nearly always travel through infinity in groups, and share life after life with each other, always in different mutual connections. There's a great chance, for example, that your child was once your mother or your lover in a previous life. It is of no avail to anyone if one soul doesn't succeed in redeeming certain karma, so in that case you can ask a related soul whether they wish to try to do it for you. But these are exceptions, because souls are so loving that they generally will not ask another to do this very easily. On top of that there is no sense of time backstage, so there is no hurry. If there is any doubt whether karma has been redeemed through a certain deed or not, or if there is so little karma left for a soul that it would rather cancel it than have to worry about it again in a next life, this must be submitted to some sort of universal council, named the "Lords of Karma". The universe, including heaven, is filled with councils that occupy themselves with all kinds of things, and this karma council has the authority to cancel certain karma. This, however, only happens in exceptional cases.